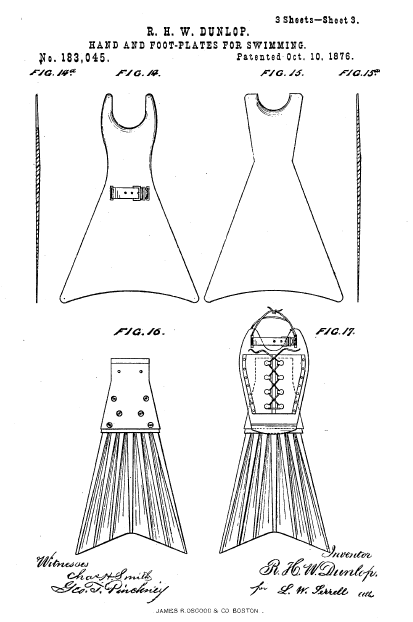 In 1876, Robert Henry Wallace Dunlop filed a patent for improved fins. In the new design, hands and foot pockets were added. It also represented the first multi material flexible fin. The blade of the fin could be made of nitro-cellulose which is like a hard rubber. No one really knows what happened after the patent as Dunlop died almost 10 years later in 1887.